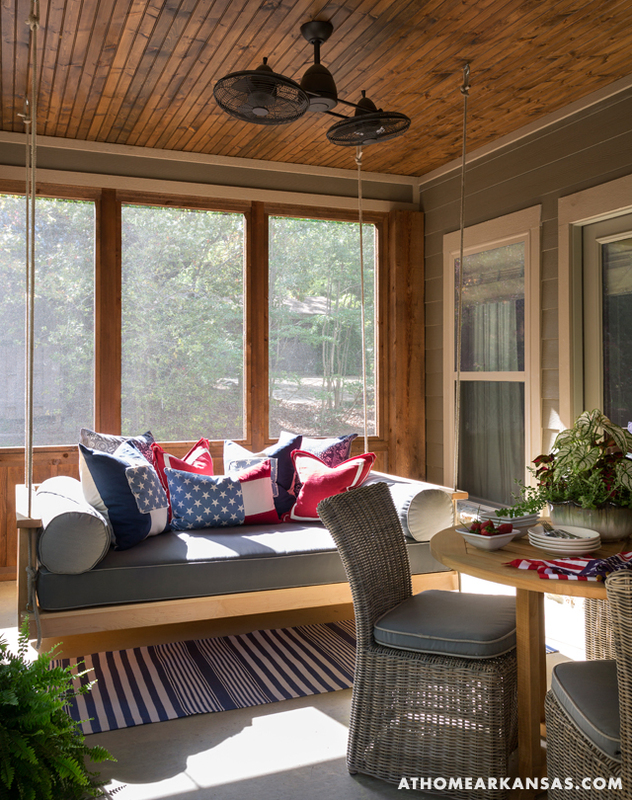 To make the home reflect its surroundings, the owners solicited the help of designer Tami Risinger, who filled the spaces with familiar pieces such as bunk beds and wicker dining chairs to give it functionality for the active family and to instill a sense of nostalgia appropriate for a family vacation spot. 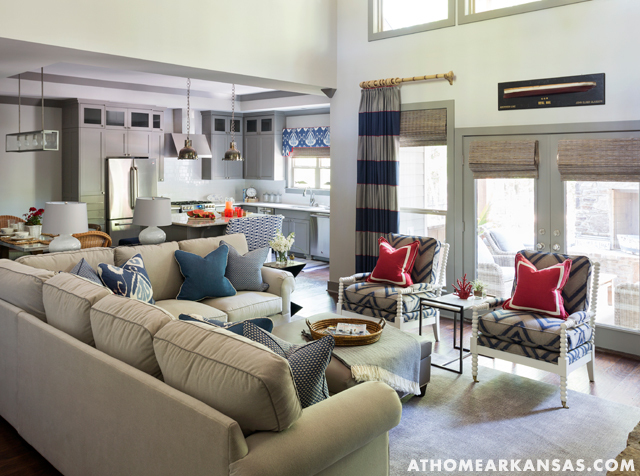 Throughout the house, pale walls are outlined with warm gray trim. 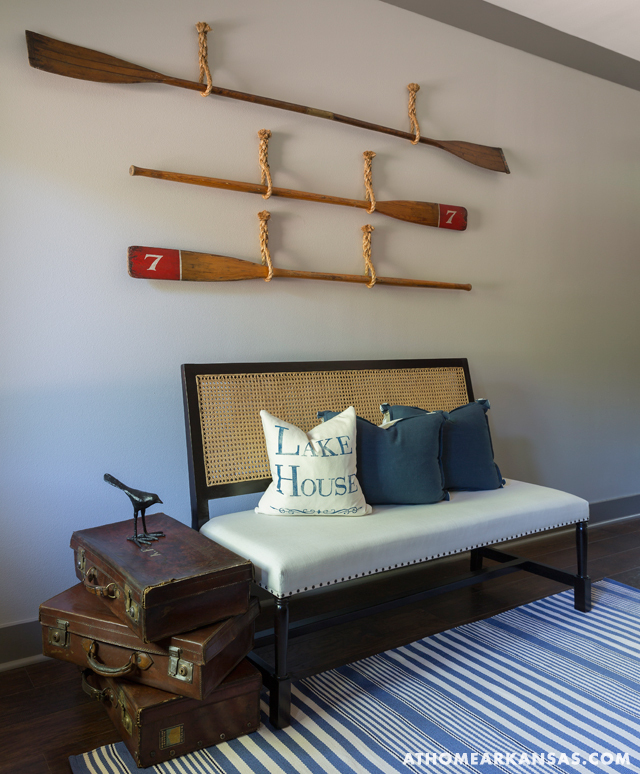 Simple details such as beadboard and wide-planked hardwood floors give the home a cottage-style appeal. 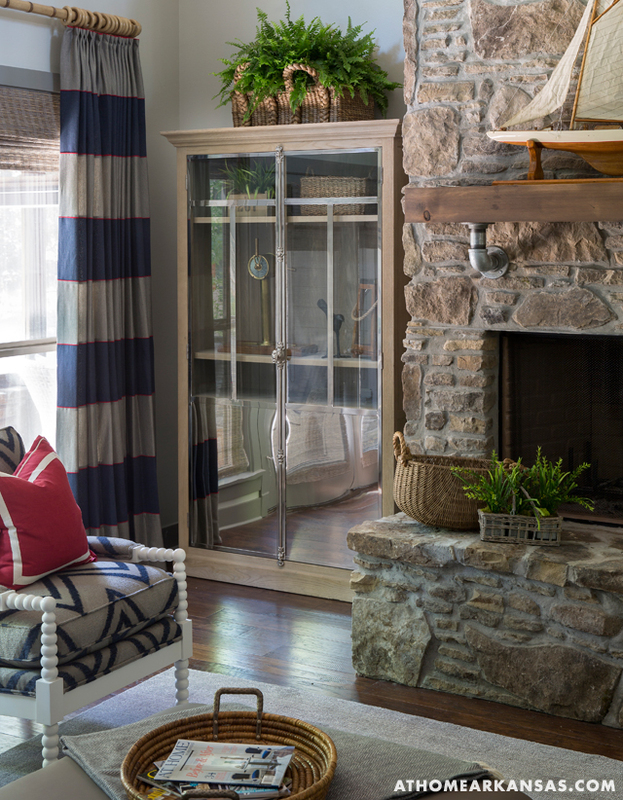 In the family room, a delicate pair of spool chairs provides juxtaposition to the double-story stone hearth, while a large CR Laine sectional offers ample seating for the homeowners and their guests. To stand up to the demands of this young and active family, Risinger called for durable, washable fabrics and finishes wherever possible. 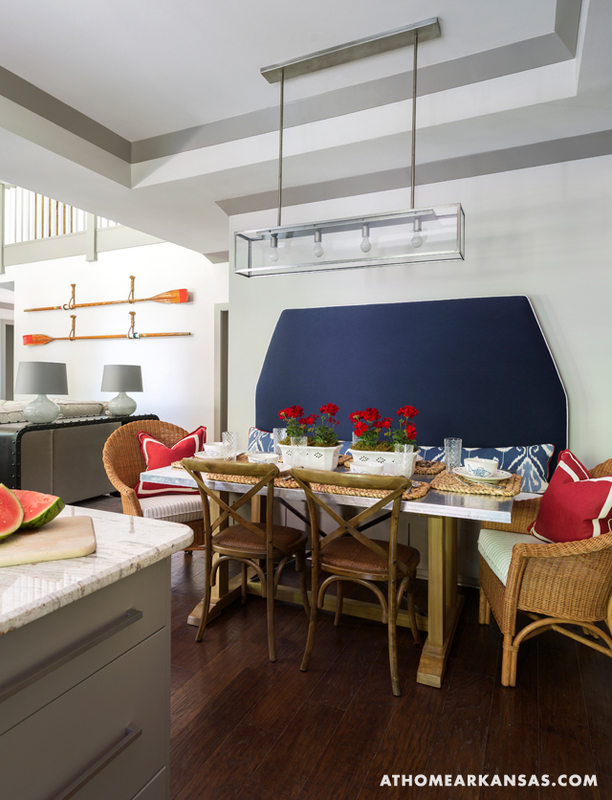 In the adjacent kitchen, children and guests can gather around the island as meals are prepared. 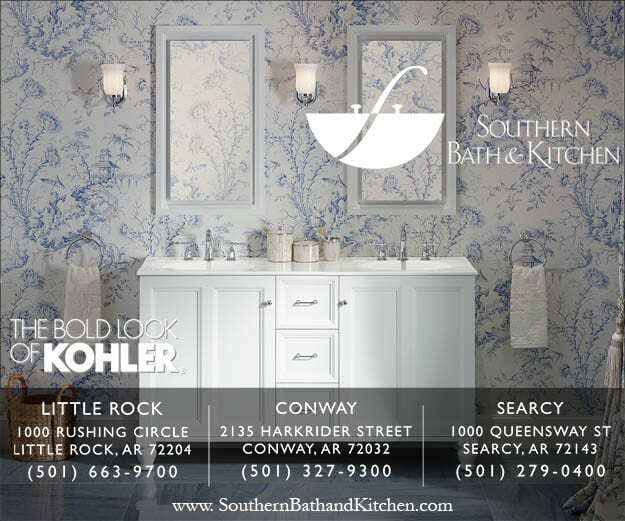 Simple cabinetry with inset panels is painted the same color as the trim throughout the house, and a large window over the sink looks out onto the backyard. 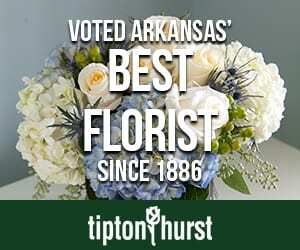 The room’s crisp feel is a contrast to the family’s full-time residence, which features dark granite and wood cabinets. 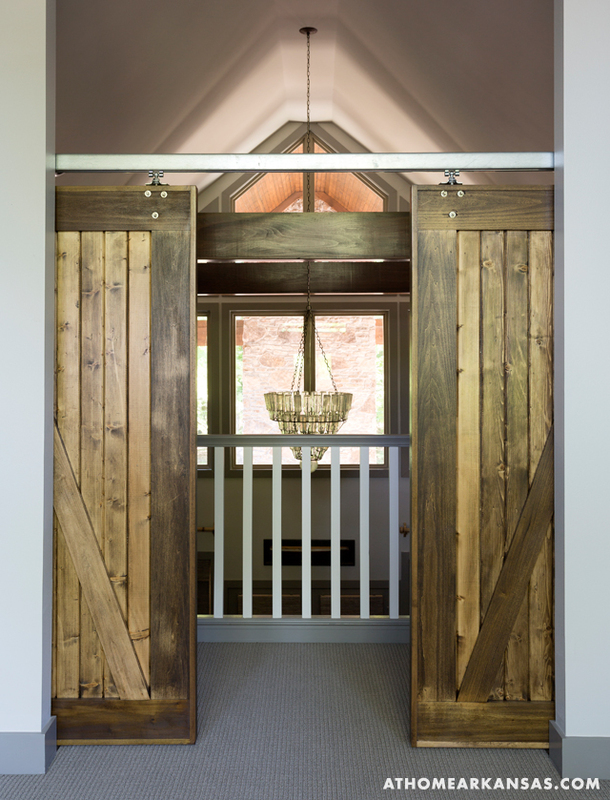 “This just feels so cool and clean to us,” the homeowner says. 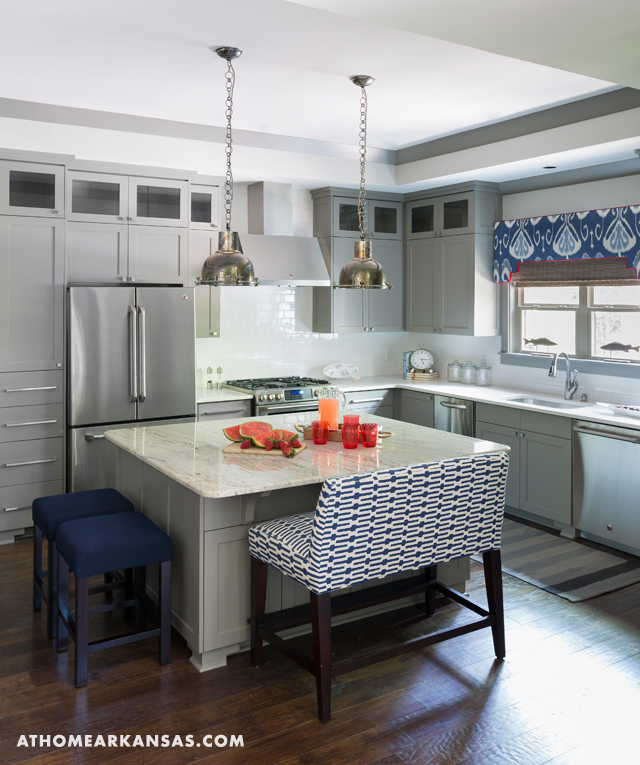 A custom, upholstered banquette anchors the dining area around a stainless steel-topped table—yet another durable choice for a family with small children. 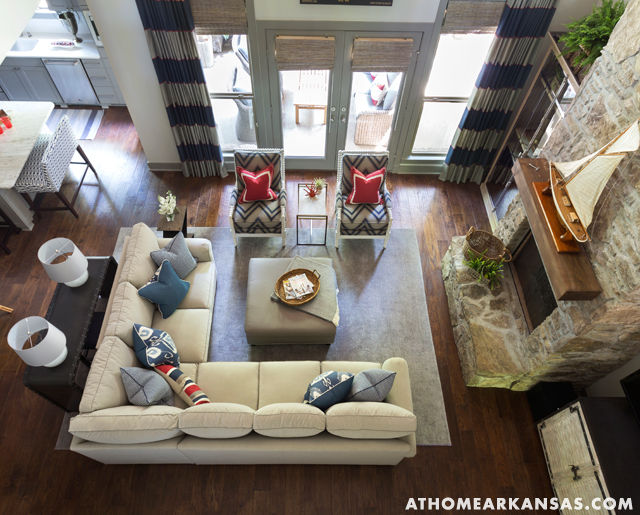 Risinger’s biggest challenge was to give the family plenty of space—along with room for guests—with just three bedrooms. 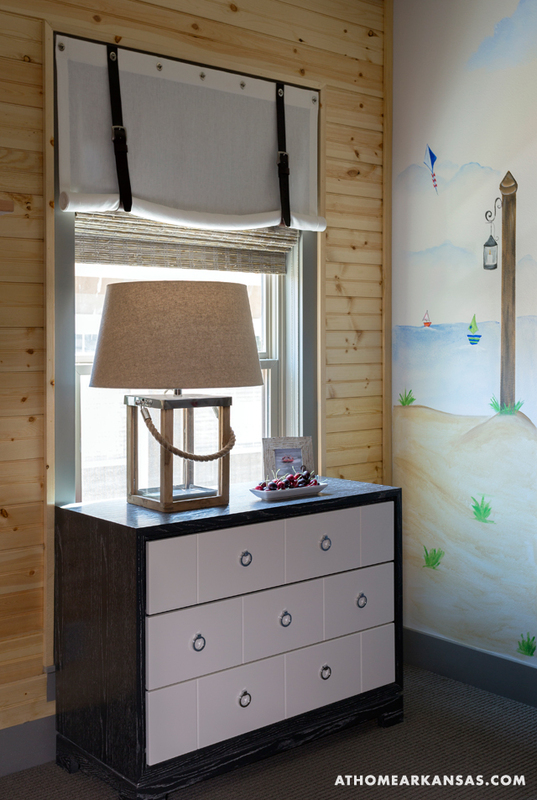 A playful bunk room helped solve that dilemma; the space features the most literal take on a nautical Americana scheme thanks to a wall mural by artist Jan Mallett. 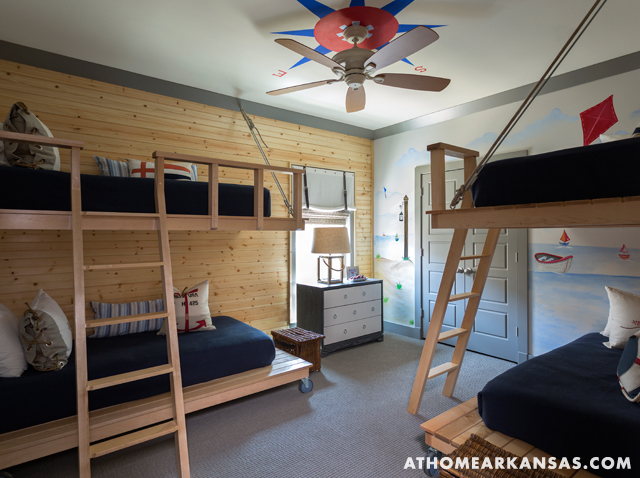 Two sets of custom bunks are topped with sailcloth pillows trimmed with grommets and rope. 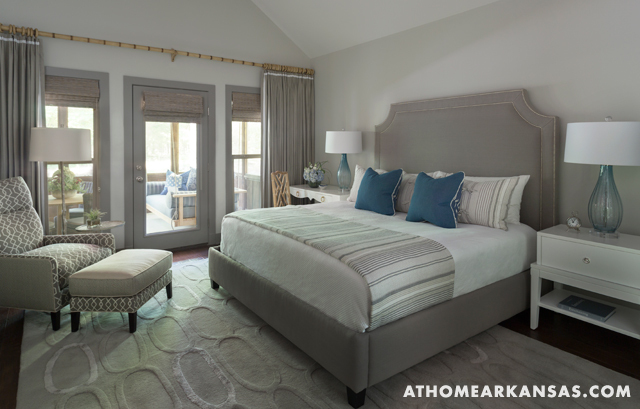 When it comes to rest and relaxation, the master suite, which features shades of gray, cream, and blue, is a retreat in itself. 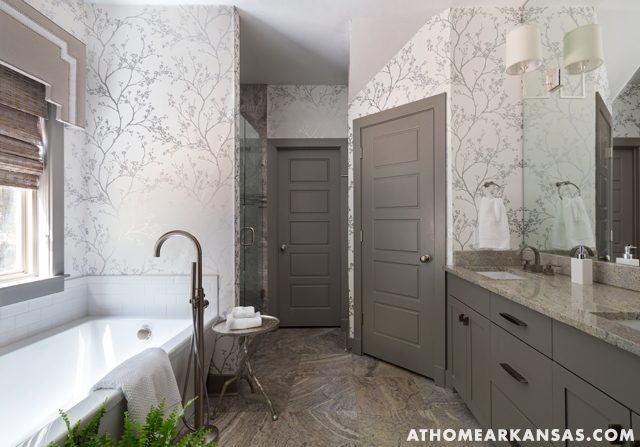 The elegant en suite is a bit of a departure from the rest of the home with metallic wallpaper, modern fixtures, and silver travertine floors—all meant to pamper the homeowners at their vacation home.